Bruno Codispoti is the founding member of Codispoti & Associates, P.C. 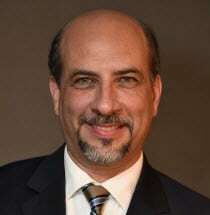 He was formerly a partner in the law firm of Codispoti & Mancinelli, LLP which he founded in New York City in 1998. In 1985 he graduated with a Bachelor of Science degree in Management from St. John’s University in Jamaica, New York. He received his Juris Doctor degree from New York Law School in 1989. Bruno is admitted to practice law in New York State, United States District Court (Southern, Eastern and Western Districts of New York) and the Supreme Court of the United States of America. Mr. Codispoti is a business attorney focusing in corporate, real estate, and intellectual property matters. Close to one-half of his practice is Federal and New York State litigation related to those areas of law, including judgment enforcement and appeals. Bruno provides general services to clients such as wills, trusts and estate administration together with his Counsel, William J. Russo. Mr. Codispoti is also fluent in Italian and has represented many Italian speaking individuals. Bruno is the Past President of the Columbian Lawyers Association of Brooklyn (2012-2013) as well as Past President of the Columbian Lawyers Association of Rockland (2007-2008). He is also active in the Confederation of Columbian Lawyer Associations and a member of the National Italian American Bar Association, Brooklyn Bar Association (where he is the Chairperson of the Intellectual Property Committee) and the New York State Bar Association (Intellectual Property Committee member). Bruno was a member of the board of directors of The Italian Board of Guardians, Inc., a social services agency in Bensonhurst, Brooklyn since 1994 through 2009. He remains an active alumni of EXB fraternity from St. John’s University. Bruno is currently the Legal Advisor of the Federation of Italian American Organizations in Brooklyn and is actively involved in the opening of Il Centro, the first Italian-American Cultural Center in New York City. Bruno has twice been honored with the Distinguished Italian-American Award, both by well respected Brooklyn based organizations - first in 2007 by the Van Westerhout Cittadini Molesi Social Club and then in March 2012 by the Federation of Italian American Organizations. In 2016, Bruno was honored by the Stars & Stripes Regular Democratic Organization 49th Assembly District. In addition to the above, he is currently the President of Catasal Realty, LLC, which leases offices to attorneys and other professionals in his law suite in downtown Manhattan. In 1989, Bruno married his childhood sweetheart, Bernadette Rizzi. In 2003, they moved to New City, Rockland County, New York, together with their son, Francis, but currently maintain a residence in Brooklyn. Bruno is active in local religious, civic and political matters and organizations in both Brooklyn and Rockland. He is an avid musician and enjoys many outdoor activities. Bruno has a very close relationship with his large and extended family and still maintains his friendship with many of his childhood friends.